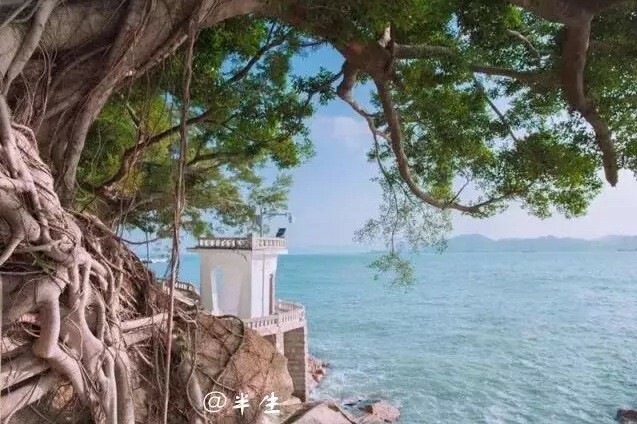 Gulangyu is a sweet island full of couples taking romantic wedding photos. But did you know it also appears in many beautiful and romantic film and TV dramas? Can you recognize where this is on Kulangsu? It’s the spot where two of the biggest mega-stars in China, Angelababy and Zhao Youting, fell in love (or at least their characters did) in the blockbuster movie “The First Time.” Many of the movie’s scenes were shot on Kulangsu in romantic spots like this one, framed by majestic rocks and blue waves, places that are perfect for taking pictures, filming movies, or just a peaceful stroll. In this movie, Angelababy’s heroine, Song Shiqiao, lives in Li Qingquan Villa on Kulangsu Island. This famous movie, starring Chen Kun and Xu Ruoxuan, tells of a strong love that crosses the strait. Does this background look familiar? “Golden Waters,” starring Chen Kun and Xu Ruoxuan, shot on location on Kulangsu Island. The famous Chinese movie “Golden Waters,” starring Chen Kun and Xu Ruoxuan, shot on location on Kulangsu Island. Do you recognize this restaurant? 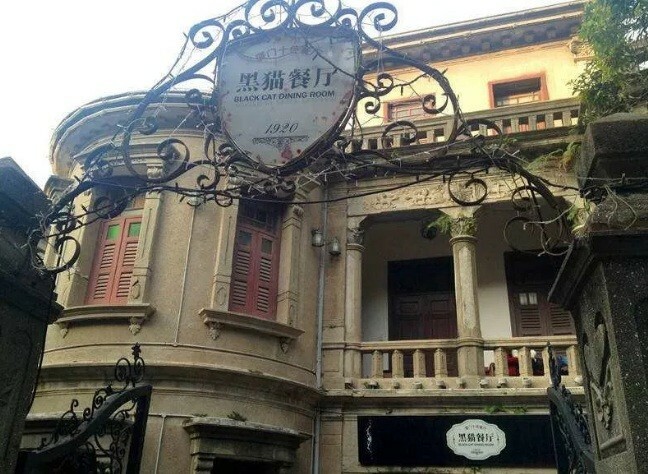 It’s one of several Kulangsu restaurants that appear in the award-winning film “Golden Waters.” This one is called the Black Cat Dining Room, nestled in a romantic 1920 mansion along a tree-shaded lane on Kulangsu Island. The Black Cat Dining Room, home of a scene in the Chinese movie “Golden Waters” with Chen Kun and Xu Ruoxuan. The protagonist of the Chinese TV drama “Spirit” is an optimistic girl, Zhang Xiaorou. In order to become a successful professional, she goes through a series of stories in Xiamen told by Yimi Yimei. Kulangsu often appears in the scenes, from its beaches to its streets, old villas, and tree-lined pathways. These are only three of the many major movies and TV shows that have been filmed on romantic Kulangsu, a tropical fairytale island whose many gifts include the opportunity to relive the romance of the Chinese silver screen.